Game-worn stuff can be a gamble — without any sort of certificate of authenticity or letter from a team, who's to say whether the shoes/jersey ever saw a court? 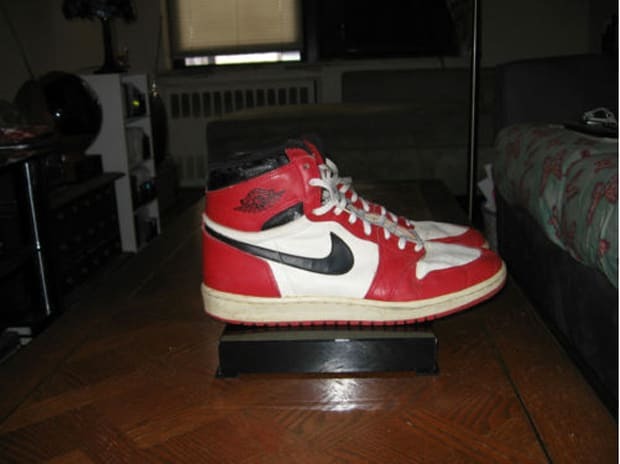 Take these Air Jordans for example. If Michael Jordan did wear them in a game, $1,000 is an absolute steal. If he didn't, you're paying about double what you would for a pair of "regular" Jordans from '85. Worth the risk?